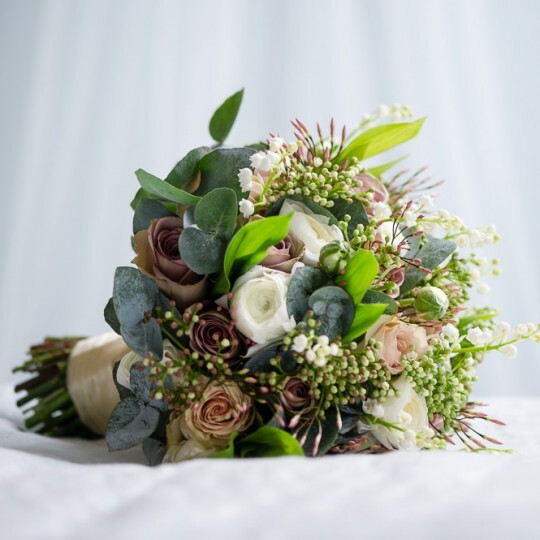 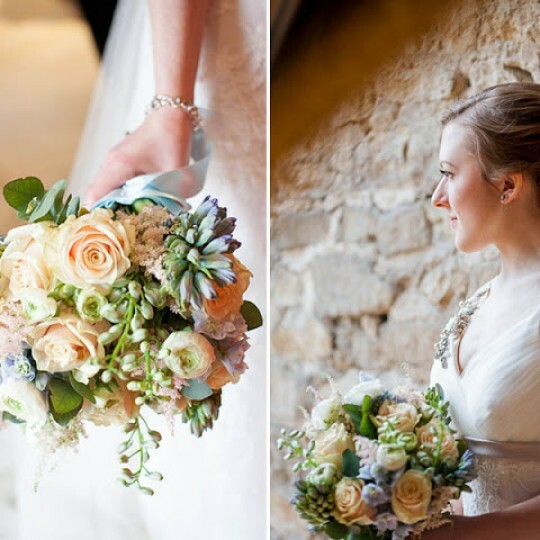 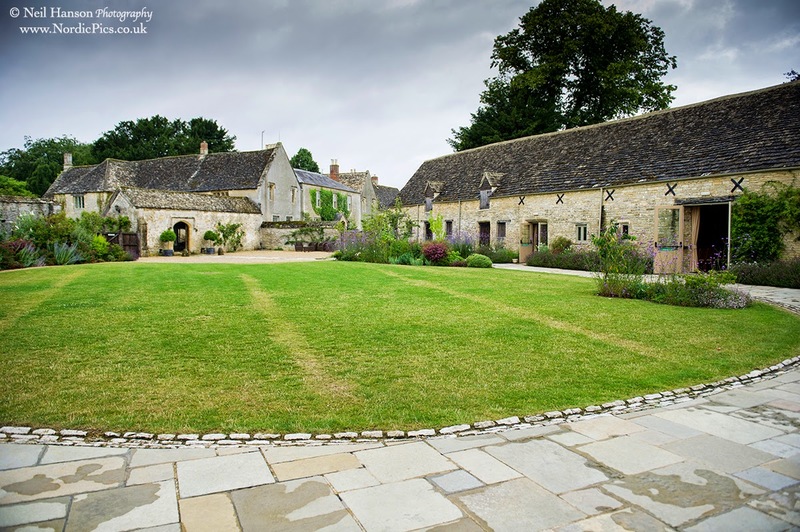 Paul and Laura's vintage rose wedding flowers at Caswell House, Oxfordshire - Joanna Carter Wedding Flowers | Oxford, Oxfordshire, Berkshire, Buckinghamshire and London. 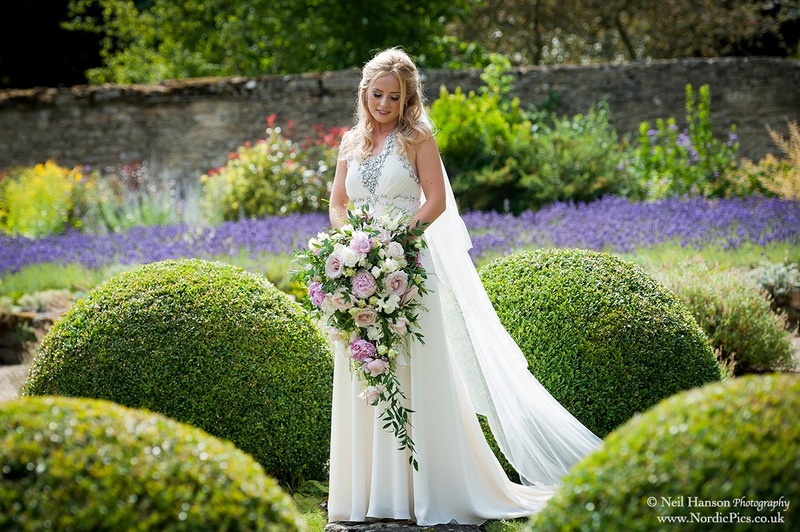 Paul and Laura got married on a Saturday in July where the stormy skies parted for long enough for them to have a lovely outdoor ceremony in the fabulous gardens at Caswell House. 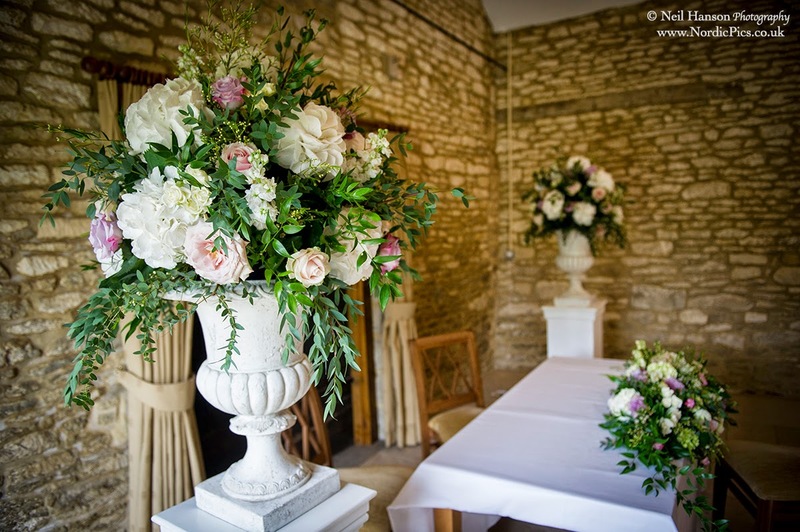 For the ceremony we placed two lovely ivory urns full of ivory and vintage pink roses along with a long, low piece for the registrar’s table. 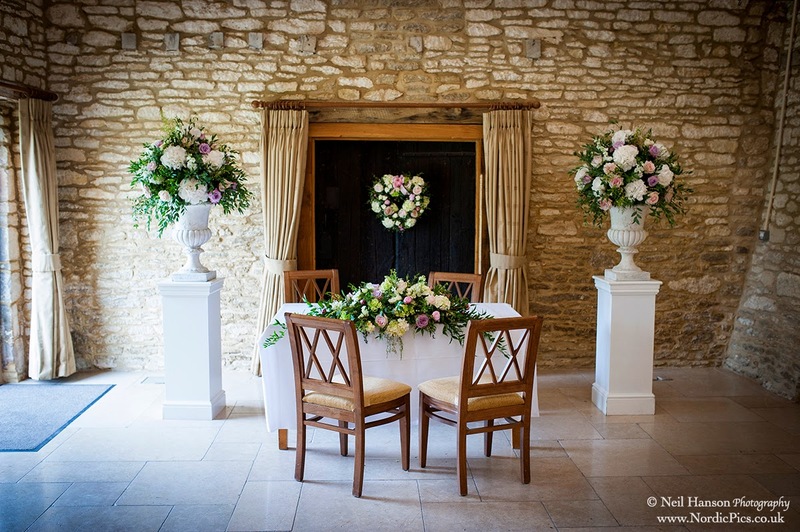 Initially the weather looked a bit ominous so we set up inside but a last minute burst of sun allowed it all to be moved outside ready for the ceremony. 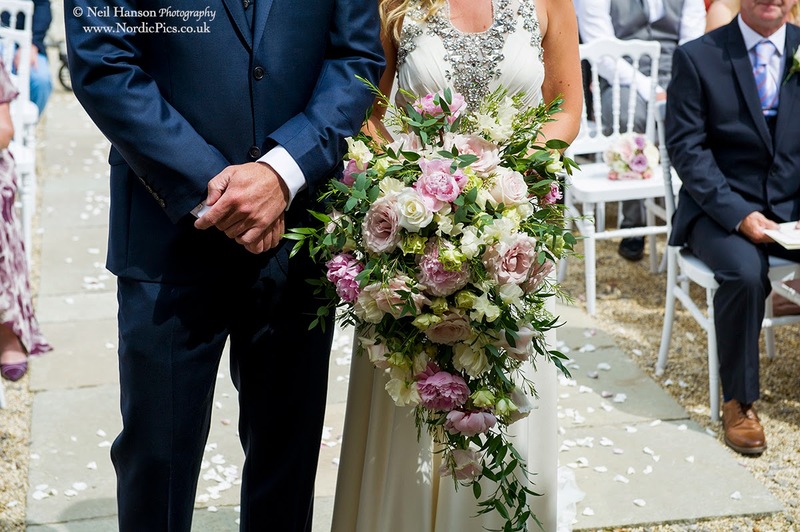 Laura chose a lovely trailing shower bouquet full of mixed shades of pink roses and lovely pink Sarah Bernhardt peonies with lisianthus and sweet peas. 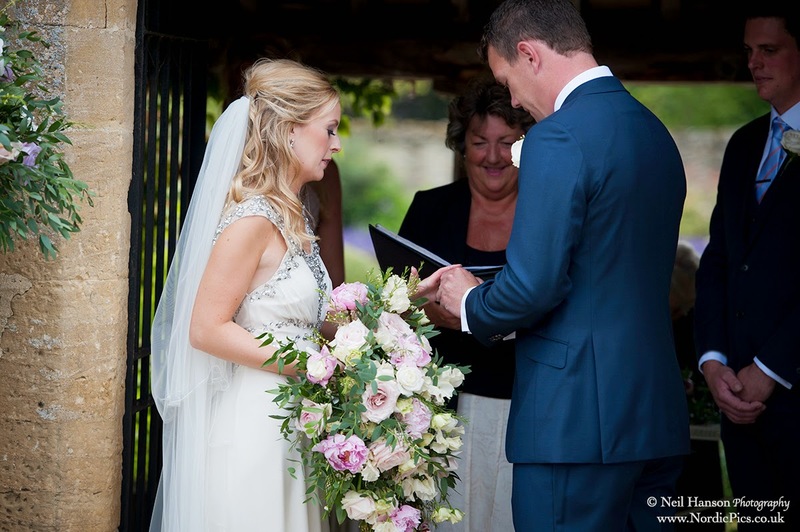 It was a stunning statement piece and the vintage shades in the rose complemented Laura’s embellished dress perfectly. 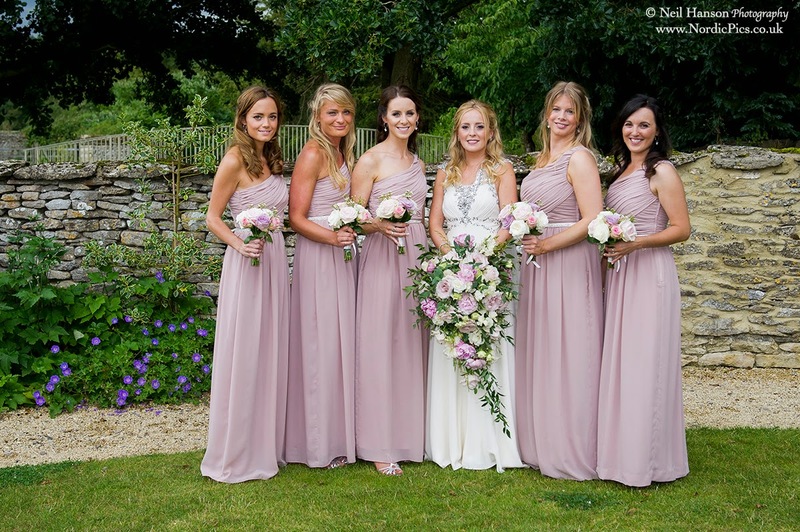 Laura’s very clever mum made lovely bouquets for the bridesmaids to match her bouquet. 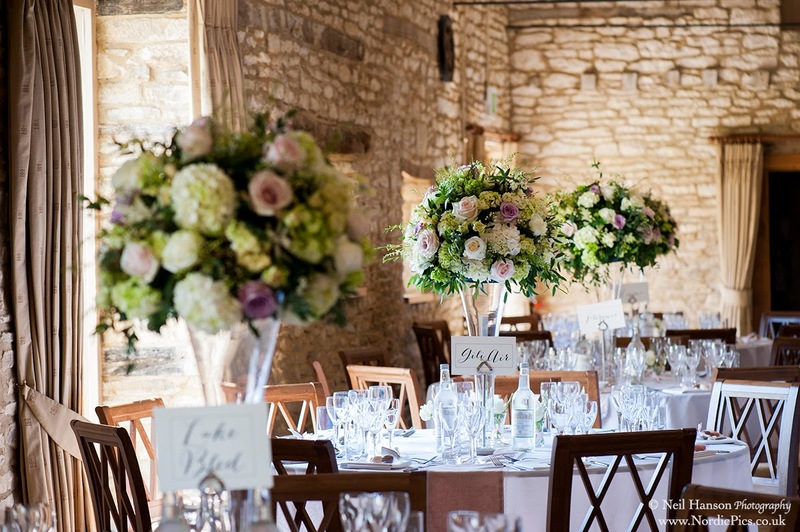 For the wedding reception we made tall clear glass flute vase arrangements with roses in vintage pink shades and ivory hydrangeas. 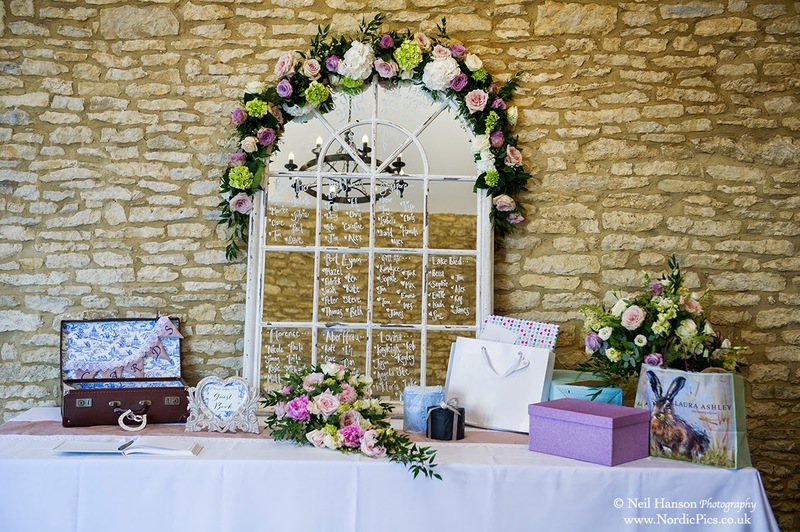 We also made a lovely garland to sit on the mirrored table plan.